Organize your home with these awesome tips and DIY storage projects! Almost every day, I get an email from someone asking for tips on how to organize your home. Whether it's toys, the kitchen, or just all that stuff, we all have areas in our homes that need to be organized. Organizing your home isn't just about making it look nice. Studies have shown a strong link between clutter and despression, and I think it's especially tough for us moms who spend a lot of time inside our homes. Plus we are often dealing with even more clutter with kids in the house (how do they accumulate so much stuff?). That's why I am a firm believer in getting organized so that we can all enjoy our homes and our family time even more. Before you start any organizing project, make sure that you actually need to keep all the things you are finding a place for. Your first step should always be decluttering your space - throwing away things that you don't use, don't fit or work properly, or that your kids have outgrown. Need help? Here are 75 things you can throw away today (with a free printable declutter checklist). I'm also a big fan of involving my kids in decluttering their things, and this genius toy purge idea works great any time of year. Once you've done a thorough decluttering you are ready to organize your home. 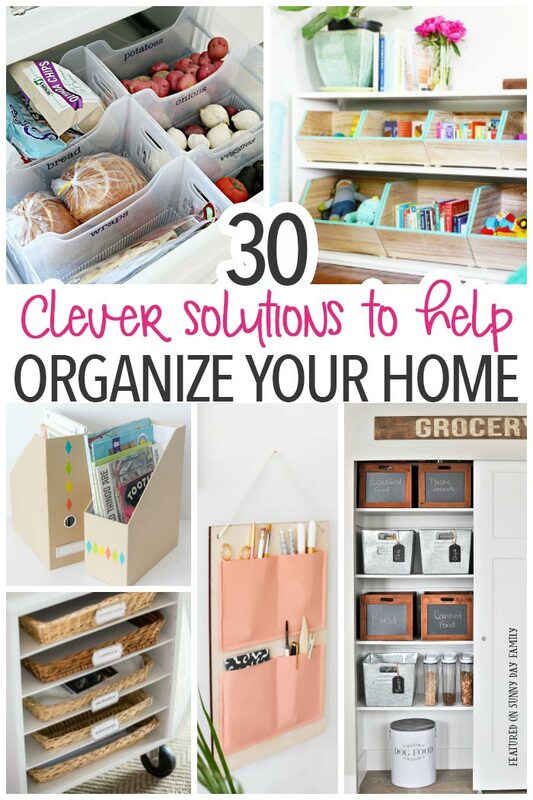 I've pulled together 30 clever ideas to help you organize all of your trouble spots, including some awesome DIY storage projects too! Want even more organizing tips and tricks? 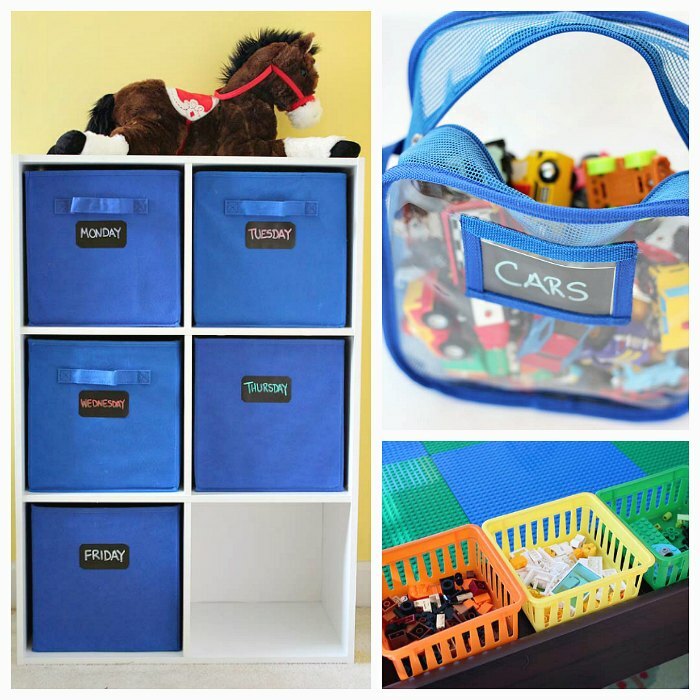 Click here for ideas on how to organize your life with kids and check out all my organizing printables here!